I got my new mobile phone this week. 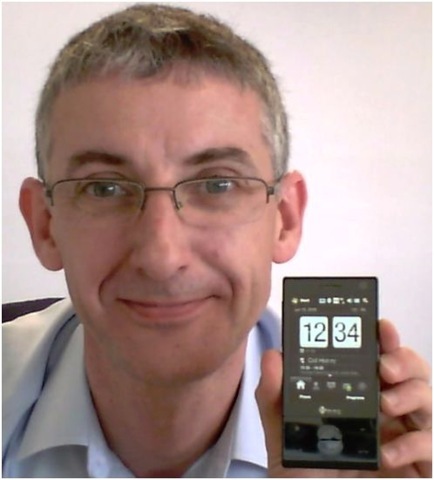 It’s the HTC Touch Diamond…oh yes! It’s beautiful. It’s sleek. It’s light. It replaces the Nokia N95 I’ve had since last August. The real reason I wanted a new Windows Mobile-based device is that we’re running a pilot project to integrate our Nortel CS1000 PBX with Microsoft Office Communication Server to give us full unified communications. There’s a Communicator Mobile client app that runs on WM devices that connects to our OCS server in the office to give me presence and IM capabilities to all my corporate contacts. Initial impressions are that it’s an excellent unit, although the battery life has yet to be determined under “normal” usage, as opposed to the incessant playing with that it’s currently getting. I just can’t leave it alone. As an iPhone alternative, it’s got a few things the iPhone doesn’t: MMS, video recording, and the ability to load any WM apps I want. It’s also got a 3MP camera, as opposed to the 2MP one in the iPhone. I’ll post more as I get used to it.